Keys to sparking creativity for the wide-open music landscape. 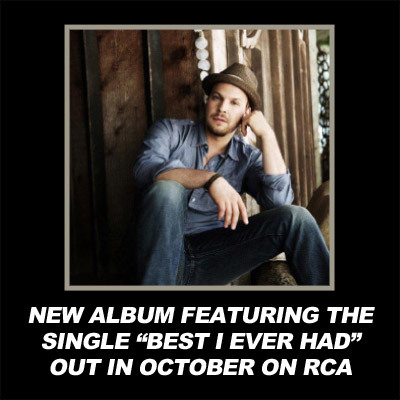 Though Gavin Degraw was raised in a prison town two hours north of New York city, and had seen harsh reality from an early age, the hippie-vibe of nearby Woodstock lingered in the air, offering a feeling of limitless possibility and freedom. In addition to working blue-collar jobs in the heart of New York state, his grandfather, father and older brother were also musicians, and music brought the family together. “Music was definitely part of our family culture. My granddad played music. My granddad’s brothers played music. They were basically like a bunch of farm kids who played music,” DeGraw says. “My dad plays guitar and he’s a great singer. He wasn’t a piano player, but he could fi gure it out and say, ‘Here, check this out.’” DeGraw says his exposure to live music at an early age helped him build a passion for learning to play. His brother already had a three-year jump on playing guitar, so DeGraw gravitated toward the piano. “My dad played me a lot of Baby Boomer rock, like the ’60s stuff . Because we grew up like 20 minutes from the original Woodstock site, we naturally were exposed to a lot of hippie rock. We were always playing music at the house or around campfi res, or in drum circle kind of environments.” As his love for music blossomed, DeGraw says his parents’ support was unwavering. When the thought of making a living playing music came up, DeGraw says his former-hippie parents offered nothing but their best wishes. “My family was unusually supportive about playing music because they just loved music. So when I told them I wanted to play rock and roll, they were like, ‘Cool, yeah, go do that. Good idea.’ It was weird how there was no way to be rebellious about it.” DeGraw’s songwriting reflects that freedom, incorporating aspects of several different popular music genres into one album, from stripped-down Americana and analog synthesizer sounds to hitech electronic dance sounds.